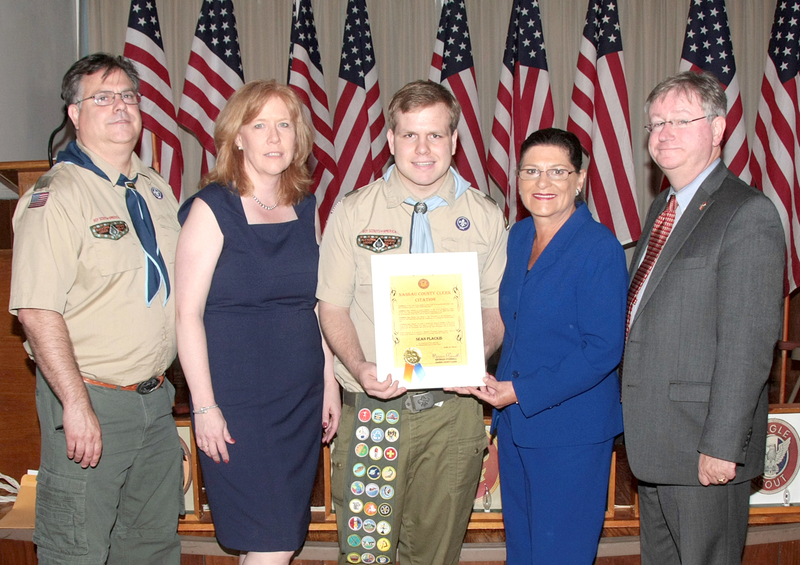 (Mineola, NY) Nassau County Clerk Maureen O’Connell joined Boy Scout Troop # 116 of Valley Stream at their Eagle Scout Court of Honor Ceremony for Sean Plackis. County Clerk O’Connell, along with other area officials, the leaders and families of Troop # 116 honored this outstanding young man who has demonstrated great commitment to community service. Clerk O’Connell presented the Eagle Scout with a County Citation in recognition of his achievements. Their dedication and many accomplishments earned him the rank of Eagle Scout which is the highest award in the Boy Scouts of America. Congratulations to Sean and the entire Troop # 116 family on this special occasion and for all their great works on behalf of the community.